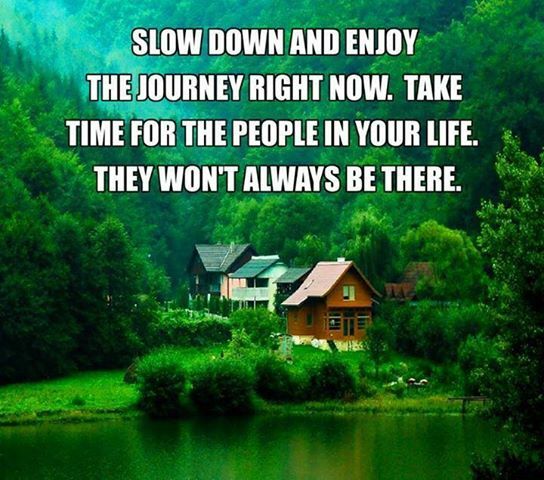 Life moves at such a fast pace that it seems to pass us by before we can really enjoy it. My Mom is a good example of this lesson who is slowly recovering from heart surgery she had last year. She’s still frail but ever so feisty and the lessons she is giving me daily have shown me that slowing down is a conscious choice and not always an easy one but it leads to a greater appreciation for life and a greater level of happiness. One thing that has struck me with my Mom is that we never lose the inner child we are born with, that has rather surprised me. There are so many moments when we drive along and she’ll say things like, “I wish I could take my shoes off and go swimming in that pond like I did when I was a kid”.. or a winding river, “I have always wanted to put on my skates and just follow this river for miles and miles in the winter time”….I could see the wistful look in her eyes and the longing to be free again with her youth. I’m appreciating this summer and the time it’s allowing me to be with my Mom. For the first time in my life I’m fully present ….. This entry was posted in love and poetry and tagged Mother's love, slow down, take a deep breath. Bookmark the permalink.